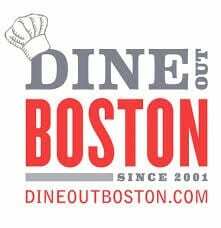 Dine Out Boston Returns Starting in August 6, 2017! Dine Out Boston is once again coming for two weeks this August from August 6-11, 2017 and August 13-18, 2017! Many local Boston restaurants patriciate and select one of three price options to offer a prix fixe menu during the two weeks. Lunch prices are $15, $20 and $25 and Dinner prices are $28, $33, $38. Prices are per person and do not include beverages, tax, or gratuity.